As an entry-level or recent graduate, your employment prospects are wide open. Since your skills and experience are more limited, a proper presentation of your qualifications is even more critical. We understand this and will work with you to produce a professional resume package that reveals a positive image of yourself that can motivate an organization to schedule you for that important job interview. Our special resume packages are captivating in the way they capitalize on your core skill set, education and training, knowledge and understanding, key attributes and characteristics, and capabilities to create a compelling picture of you. As you may not have the work experience of others, we will draw from the experience you do have to highlight your strengths and abilities. 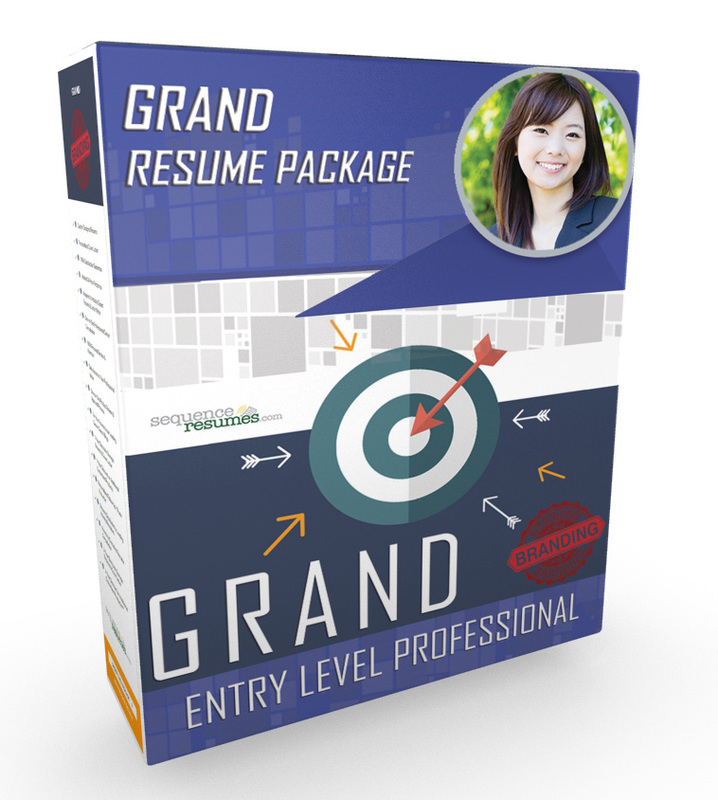 Our all popular Grand Package includes a customized Resume, Cover Letter and our VITAE I-Inventory Package. The key essential tools necessary to advance your career. 2-Year Discount on Additional Customized Products – Discounted pricing for additional resumes and / or cover letters tailor made as needed for other targeted opportunities or as a refresh to keep them as up-to-date as possible. Plus there’s more. We are pleased to offer you the opportunity to meet with one of our leading recruiters for a professional consultation to enhance your career planning. We will also keep your resume and cover letter on file so you may return back to us anytime within the next two years and receive the discount for refreshing your resume and cover letter to suit another job opportunity. The Grand Package is a great value and the offering is available to you for just $324.95. A top value! A custom-made resume designed to showcase your professional strengths and career highlights that will make you stand apart from the competition. Top-notch choice! The cover letter is a critical component to your marketing package. Correctly written, the cover letter is among the most valuable personal branding tools in your marketing kit. It can make the difference in defining your brand and is critical to express how you are the best match to the opportunity. Simply put, it tells your future employer how and why you are qualified, and why you are the right person for the job. The Ultimate VITAE I-INVENTORY PACKAGE is not just the powerful tips/tricks and insights guide for building your resume and career marketing materials, but the tool to help you assess your value and truly empower your professional efforts on a path to lifelong success. I-INVENTORY Book in Print: Fully Visual and Interactive Mini-Book – text, images/illustrations, and visual checklists. I-INVENTORY Book on Audio CD: Our Best Selling I-Inventory Mini-Book narrated on Two CDs for easy listening. The Online Webinar: Recording of Live Interactive Discussions on the subjects and principles outlines in this I-INVENTORY Package from Industry Experts. All of our products and service come with our 100% Satisfaction Guarantee. We proudly stand behind our products and services. That’s why we have so many happy, satisfied customers that generously refer us to others and return back to us time after time. We guarantee we will work with you to ensure you are completely satisfied and make sure you receive the product and service you purchased and deserve. Guaranteed! We will reach out and contact you within 24 hours (business day) of your purchase to personally begin working with you on your ordered products and services. You will be personally assigned to a professional with industry experience and expertise producing customized personal brand marketing materials. We offer our customers at no cost an exclusive, one-on-one initial professional career planning and development consultation. You will receive a personal session with one of our leading Career Planning Consultants who will share with you the importance of defining your personal brand, the value of building a powerful online and offline brand presence, how to make yourself stand apart from all others, and how to conduct a productive job search effort. Our customers are #1. That’s why we guarantee you will receive personal service and attention at all times from our professional team. Our personal service and attention includes daily access to your assigned professional writer. We are eager to serve you and to be available to meet your personal brand marketing needs. We don’t just send you a draft. We personally contact you after we have sent you your purchased products and work closely with you to gain your final approval with a 100% Satisfaction Guarantee. We invite you to read our leading career search blogs, written by professionals providing valuable insight and advice for career planning, the importance of defining your personal brand, the value of building a powerful online and offline brand presence, how to make yourself stand apart from all others, how to conduct a productive job search effort, and so much more! With your purchase of the Grand or Premium Package, we are pleased to offer you the opportunity to meet with one of our leading recruiters for a professional consultation to enhance your search efforts. We will gladly keep your products safely on file – at no charge – in our electronic storage for two years so you can freely return at any time to retrieve copies as needed. Most job candidates are applying for more than one position at any one time. Or need to keep their materials current. That’s why we offer a special discount for producing revisions to your resume and cover letter so each will be tailored-made for each of the positions / focuses you are seeking or as a refresh to keep them as up-to-date as possible.